Associated Production: C.H. 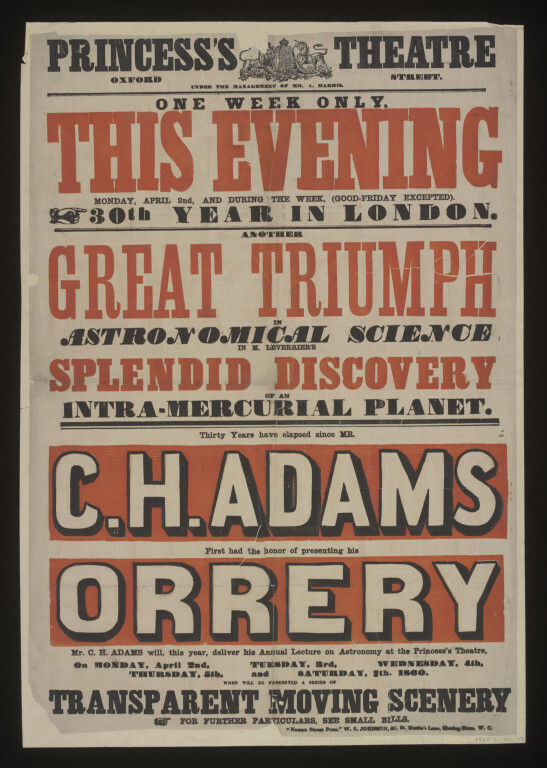 Adams and His Orrery. 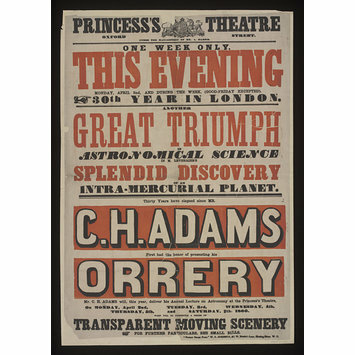 Princess's Theatre, London. 2.4.1860. Performance category: lecture. 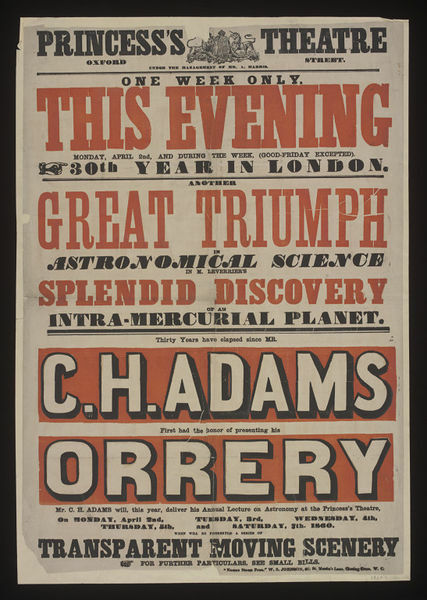 This production featured 'another great triumph in astronomical science in M. Leverrier's splendid discovery of an intra-mercurial planet. Thirty years have elapsed since Mr. C.H. Adams first had the honour of presenting his orrery.